SAN JOSE, CA -- April 15, 2019 -- Beers Made By Walking (BMBW) is a program that invites brewers to go on nature hikes and urban walks and make new “place-based beers” inspired by plants from the trail. The San Jose Museum of Quilts & Textiles (SJMQT) has teamed up with BMBW and three local breweries for a public hike on May 11th along the area of the South Bay Salt Ponds near San Jose. The hike is free and open to the public, but registration is required. Hikers will be accompanied by local craft brewers from Camino Brewing, Clandestine Brewing, and Uproar Brewing. After gaining inspiration from the walk, the breweries are tasked with creating new hike-inspired beers that will tap later this summer. These place-based beers serve as drinkable, landscape portraits of the trail. The hike takes place on May 11th, from 10:00am-12:30pm along the trail of the South Bay Salt Pond Restoration Project at the Don Edwards SF Bay National Wildlife Refuge. Led by Dave Helsing, the Restoration Project’s executive project manager, hikers and brewers will learn about the largest tidal wetland restoration project on the West Coast and about the native and invasive plants that inhabit the area. The water-based theme of the hike coincides with the San Jose Museum of Quilts & Textiles exhibition H2Oh!, which runs April 20th-July 14th. For those who aren’t able to attend the hike but want to taste the beers--the beers will be served during a special tapping event at the Museum on July 14th, from 3:00-5:00pm. More information will be available soon. Visit the SJMQT website for updates. Beers Made By Walking is a program that invites people to step outside and see the place they live in a new light. We invite brewers to take nature walks and make beer inspired by the plants identified on the trail. Since 2011, we have worked with more than 200 breweries throughout the country. Our hiking and tasting events act as educational programs for institutions and environmental organizations in the regions we serve. San Jose, CA - March 14, 2019 - San Jose Museum of Quilts & Textiles (SJMQT) is pleased to announce four new exhibitions opening on April 20, 2019. H2Oh!, The Marbaum Collection: Variations in Techniques, and Kristen Martincic: Swim Club run through July 14, Momentary & Timeless through June 2, followed by Stone Portraits and Sacred Stonescapes: Denise Labadie, from June 5 to July 14, 2019. Water is everywhere: the majority of the earth's surface is covered by water, and more than half of the human body consists of water. Offering a variety of artistic interpretations, H2Oh! draws on a well of beauty, reverence, and contemplation as it invites viewers to consider the importance and the impact of water. H2Oh! is curated by Bay Area artist and environmentalist, Linda Gass, and co-organized with Studio Art Quilt Associates. Kristen Martincic uses swimwear as a surrogate for the female body, creating paper bathing suits that are a cross between a swimsuit and an underdress, skin and clothing. Social conventions and context play a significant role in how these garments are viewed by others and ourselves. These delicate paper suits talk about the awkwardness of vulnerability and exposure while maintaining a sense of levity. This selection of quilts from the museum’s permanent collection celebrates a generous gift of eighty-seven art quilts donated in 2017 by Marvin Fletcher and his late wife Hilary, in honor of the museum’s 40th anniversary. The entire collection, acquired by the Fletchers over four decades, represents a chronological look at the studio art quilt from the early 1980s to the present. The works in this exhibition highlight the great range of techniques quilt artists have incorporated in their work, including meticulous piecing and hand dyed fabrics to create the illusion of three-dimensions, painting on fabric, the use of recycled materials and digital design. Momentary & Timeless invites viewers to join six Bay Area fiber artists - Alice Beasley, Liz Berg, Nancy Bardach, Karen Balos, Robin Cowley, and Denise Oyama Miller - as they explore various ideas through a combination of haiku and the art quilt. Each artist presents a unique style, drawing viewers into the rhythm of the exhibit, as they are invited to write their own haiku and hang it on a “wishing tree” – a unique Japanese tradition. Denise Labadie creates portraits of Celtic megalithic stones and monoliths, and more recent monastic ruins. These stonescapes – stone circles, standing stones, dolmens, burial tombs, abandoned churches, forgotten cemeteries, and lost-in-history portals and passageways – are both timeless and evoke deep remembrances of human pasts largely forgotten. Labadie's quilts are known both for their surprising emotionality, large size and, from a construction standpoint, their hand-painted fabrics, textures, color gradation, shadowing and perspective, depth of field, craftsmanship and technique precision. This workshop serves as an introduction to the concept of using items you can easily find in a grocery store or forage in your backyard to create natural dyes. We will discuss prepping materials, what works best for natural dyes, and mordants. We will create several dye vats that you can test, discuss dye properties, folding and tying techniques to generate interesting patterns and motifs. No experience required, age 12 to adult. In this workshop, textile artist Alexander Hernandez will show how to create soft sculptures and patches that reflect attendees' own identities and how they want to be portrayed in the world. Attendees are invited to bring clothing and other textiles they would like to deconstruct to create one-of-a-kind artworks. They may also bring garments to embellish with appliqués or patches. Hernandez explores gender expectations, immigration and cultural assimilation through patchwork, quilting, appliqué and soft sculpture. As a Queer immigrant, Hernandez has navigated through multiple communities and patched together his identity like a Frankenstein creature made from his American upbringing and Oaxacan roots. The Museum’s free Community Day will offer a variety of fun activites. Join Magician Kathy Machado as she teaches the entire family about water conservation. San Jose, CA - December 13, 2018 - San Jose Museum of Quilts & Textiles (SJMQT) announced today that it will showcase an innovative array of exhibitions and events. SJMQT will display two new exhibitions, ITAB IV and Evanescence: Judith Content, from January 20 to April 14, 2019, with an opening reception on January 20, 2019. The Member’s opening is from 2-3pm, followed by a public reception from 3-5pm. ITAB IV, the fourth installment of International TECHstyle Art Biennial, SJMQT’s signature juried exhibition, focuses on works by artists who merge fiber media with new information and communication technologies. Clay Bavor, Janet Echelman and Nathalie Miebach juried the exhibition. "It was a pleasure to view such a wide variety of art at the intersection of fiber and technology for the International TECHstyle Art Biennial exhibition at SJMQT," said Janet Echelman. Leveraging its location in Silicon Valley, ITAB serves as the premiere platform for introducing works exploring the intersection of textiles and technology to a global community. This year, twenty-three artists were selected by the jurors to take part in ITAB’s fourth edition. Works by artists Annica Cuppetelli, Cristobol Mendoza, Lia Cook, and Janice Lessman-Moss, combine fiber media with diverse artistic disciplines such as architecture, installation art, interior design, new media, and sculpture. Like the haiku, Judith Content’s work explores the essence of an image, memory, or moment in time. Finding inspiration in the landscape, from coastal marshes to desert canyons, Content uses a contemporary approach to the traditional Japanese dye technique, arashi-shibori, and constructs her quilts intuitively, with an array of hand-dyed silks. Although Content can control the results to a great extent, the element of surprise when the designs are revealed never fails to excite her. Just as haiku have different interpretations, the meditative quality of her work encourages viewers to draw upon their own memories and experiences. A full-time studio artist for more than 35 years, Content exhibits nationally and internationally. Her work is represented in museum, public and private collections including the Mountain View and Sunnyvale campuses of the Palo Alto Medical Foundation. January 20, 2019- Member’s Opening is from 2-3pm, followed by a public reception from 3pm - 5pm. February 2, 2019- Taxes for Artists by Lee Ann Payne 3:30pm – 4:30pm Artist Benefit Members, Free. Public $10. Learn the business of becoming an artist, and selling your work, just in time for tax season. February 10, 2019- Free Community Open House- What’s Tech Got To Do With It? 11am – 3pm. 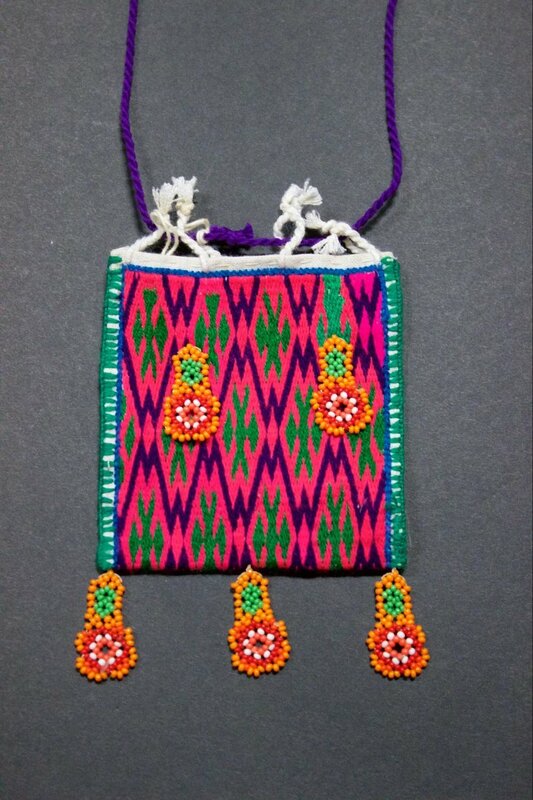 Join SJMQT for all-age activities concerning fiber art and technology, music and deals in the museum’s store. ADMISSION: Admission is $8.00 general; $6.50 students and seniors; and free to Museum members and children 12 and under. Admission is ‘pay what you can’ on the first Friday of each month. For more information, call 408-971-0323 or visit www.sjquiltmuseum.org. These exhibitions and related programs are supported in part by the David and Lucile Packard Foundation; Silicon Valley Creates, in partnership with the County of Santa Clara and California Arts Council; by a Cultural Affairs grant from the City of San Jose; Applied Materials Foundation; Mission City Community Fund; Severns Foundation and the Santa Clara Valley Quilt Association. (October 10, 2018) San Jose Museum of Quilts & Textiles (SJMQT) announced today that it will showcase an innovative array of exhibitions and events. SJMQT will be displaying Excellence in Fibers (in collaboration with Fiber Art Now Magazine), Suture and Stitch: Mark Newport, and Seeing the Threshold: Jayoung Yoon from October 19-January 13, 2019. The opening reception is from 3:00-5:00pm on Sunday, October 21, 2018 at SJMQT. Miriam at MoMA: Miriam Nathan-Roberts, Public and Personal is on view in the Porcella Gallery from October 19- November 25, 2018 and Hey, Are you Free? by Wu Yu Jung is on view November 28, 2018- January 13, 2019. SJMQT will be displaying the exhibitions The Art of Labor (In collaboration with the Surface Design Association), CUT IT OUT! (a paper cutting exhibition), and Maggy Rozycki Hiltner’s expansive project Vantage Point. The Opening Reception, located at SJMQT, is from 3:00 p.m. – 5:00 p.m. onSunday, July 22, 2018. Frau Fiber vs. the Machines is on view July 22– September 2, 2018 in the Porcella Gallery. Co-curated by Carole Frances Lung aka Frau Fiber and SJMQT Curator of Exhibitions, Amy DiPlacido, The Art of Labor: Surface Design Association’s Juried Members Exhibition presents a powerful display of fiber-based or textile-inspired works that depict the multi-faceted definition of labor. From the very idea of creating a time-intensive art work, to the act of being in labor, to the industrialization of textile and garment companies, The Art of Labor highlights the most contemporary, cutting-edge textile artists and showcases the exciting future of the fiber medium. The works in this exhibition document Frau Fiber's on-going battle with contemporary apparel manufacturing. In video, photography and artifacts, the exhibition makes space to witness Frau Fiber's attempt to spin yarn, knit a tube sock and knit a sweater as fast as a machine. This series of textile productions are inspired by the folklore of the ultimate working-class hero: John Henry. Henry, who was immortalized in verse and myth in the 1800’s, fought and lost a valiant battle against the drill machine that took his life and ultimately replaced the jobs of tireless railroad workers. This exhibition is curated by Carole Frances Lung, Frau Fiber’s biographer and archivist. If you have any questions, please contact info@sjquiltmuseum.org. On Sunday, July 22, 2018, 1-3 p.m., San Jose Museum of Quilts & Textiles will present a ‘2 for 1’ back-to-back lecture from Carole Frances Lung followed by Maggy Rozycki Hiltner. Admission to both lectures is available at $15.00 for Members and $25.00 for Non-Members. These lectures are followed by the opening receptions of all four exhibitions from 3-5 p.m.
On August 24, 2018 at 7pm SJMQT will screen the documentary film, “Who Does She Think She is?” followed by a discussion. Admission to this special event is available at $10.00 for Members and $15.00 for Non-Members. SAN JOSE, CA (April 11, 2018) – San Jose Museum of Quilts & Textiles (SJMQT) announced today that it will unroll a trailblazing array of exhibitions and events intended to spark dialogue in relation to the complicated and multifaceted topic of gun violence in America. SJMQT will be displaying the exhibitions Guns: Loaded Conversations (in collaboration with Studio Art Quilt Associates) and Generation of Change: A Movement, Not a Moment (from the East Bay-based Social Justice Sewing Academy), with an Opening Reception from 3:00 p.m. – 5:00 p.m. on Sunday, April 22, 2018. The exhibitions will be on display through July 15, 2018. Co-curated by Studio Art Quilt Associates juror Vicky Clark and SJMQT Curator of Exhibitions, Amy DiPlacido, the exhibition presents a powerful display of art works and related in-gallery programming, intended to promote conversation, understanding and reflection on gun issues facing this country. Guns: Loaded Conversations is supported by the prestigious X Factor Arts Grant from SV Creates. Following the exhibitions, SJMQT will be partnering with The Mayor’s Office, multiple City Council Districts, San Jose Police Department and Police Foundation to sponsor a Gun Buy- Back Program entitled Quilts + Cash for Guns. The Buy-Back is slated for early December 2018; further details, including the date of the Buy-Back, will be announced at a later time. Combining artistry, craft and activism, Social Justice Sewing Academy – which is partnering with the Museum on Generation of Change: A Movement, Not a Moment – has the following mission objectives: to inspire high-school students toward awareness of social injustices; to create young leaders; and to motivate action. 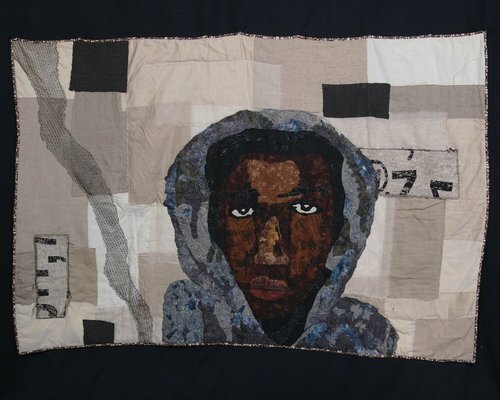 The quilts on display, created by teenagers and crafted with the help of adult sewing mentors, remind the viewer that social injustices have a profound effect on all people, regardless of age. SJSA’s goal is to prepare students to solve issues in their communities through innovative thinking and action. By using textile art as a vehicle for personal transformation and community cohesion, SJSA empowers youth to become agents of social change. The San Jose Museum of Quilts & Textiles is partnering with The Mayor’s Office, multiple City Council Districts, San Jose Police Department and Police Foundation to sponsor a Gun Buy- Back Program entitled Quilts + Cash for Guns. The goal of the program is to reduce the number of firearms owned by civilians and provide gun owners with an opportunity to turn in guns without risk of prosecution. Participants will be able to turn in a gun and, in exchange, receive cash and a quilt. The specific date for Gun Buy-Back, scheduled for December 2018, will be announced at a later date. SJMQT is calling on the community to create quilts that may be exchanged for guns. The Museum is also accepting tax-deductible contributions to be used for the gun buy-back. For information about quilt donations and to make online contributions visit www.sjquiltmuseum.org. If you have any questions, please contact DonateQuilts@sjquiltmuseum.org. On Sunday, July 15, 2018 at 3:00 p.m., San Jose Museum of Quilts & Textiles will present the lecture Bang! Bang! Discussing America’s Second Amendment by Stanford University Law Professor, John J. Donohue III. Admission to this one-time special event is available at $15.00 for Members and $25.00 for Non-Members. Closed Mondays, Tuesdays and major holidays. Admission is $8.00 general; $6.50 students and seniors; and free to Museum members and children 12 and under. Admission is ‘pay what you can’ on the first Friday of each month. For more information, call 408-971-0323 or visit www.sjquiltmuseum.org. These exhibitions and related programs are supported in part by the David and Lucile Packard Foundation; Silicon Valley Creates, in partnership with the County of Santa Clara and California Arts Council; by a Cultural Affairs grant from the City of San Jose; and the Santa Clara Valley Quilt Association. San Jose Museum of Quilts & Textiles was awarded the prestigious SV Creates X- Factor Grant to support exhibition and programming for this exhibition. The Director Emeritus of the Museum of Arts and Design in New York, Paul J. Smith is an art administrator, curator and artist. He is also a lecturer, juror for craft competitions and consultant for craft and design projects. Involved with craft and design since the 1950s, Smith is well known for his innovative curatorial and exhibition programming in the American Studio Craft Movement, and has presented more than 200 exhibitions since 1963. His exhibitions expanded the public’s appreciation for art, craft and design. During his career, Smith also collected traditional and ethnographic textiles from Asia, Central and South America, and Africa. Smith’s personal textile collection, never before exhibited, showcases the beauty of textile traditions worldwide. Each of Susan Else’s figurative sculptures tells a story, capturing the range of human emotions, routines, dreams and realities. In Without a Net, lse presents an old-fashioned circus and sideshow, using three-dimensional figures to narrate the dark underbelly of the circus. Ten circus-themed pieces, many made specifically for this exhibition, incorporate sound, light and motion, to create alternative universe that is full of contradictions. The power and beauty of the patterned cloth surfaces play off the form and content of the work, and the result is a dynamic seesaw of meanings and possibilities. Please join SJMQT on Sunday, February 18, 2018 to celebrate “A Day at the Circus,” a free, family-friendly open house celebrating Susan Else’s solo exhibition. From 11am – 3pm museum visitors will have a chance to experience highlights from the circus such as clowns and performers, music and art making. Award-winning British textile artist and designer, Vien Le Wood is the founder of Gold Spink Studi, a ashion embellishment concept house based in Brooklyn, New York. Le Wood’s exhibition, Talismanic Tresses, s based on her view of human hair which she believes acts as a conductor to our higher consciousness and intuition. In this exhibition she intimately crafted, stitch-by-stitch, piece-by-piece, and layer-by-layer the act of embellishment with an artistic expression. Le Wood believes that in the process of being gifted precious hair and buying discarded hair, an energy exchange is created that sends the message of mortality. SAN JOSE, California, July 6, 2017 –– The San Jose Museum of Quilts & Textiles is excited to present the United States premiere of the 13th Quilt Nihon Exhibition. These quilts are drawn from the winners of the prestigious Japan Handicraft Instructors’ Association (JHIA) competition, the largest quilting competition in Japan. For more than forty-five years, the JHIA has been dedicated to promoting handicraft arts through training and publication in Japan. The 13th Quilt Nihon Exhibition, in accepting quilts designed along both traditional and contemporary lines, seeks to collect the best examples of modern Japanese quilt making. The JHIA Encouragement Award for quilters under the age of 35 also serves to promote the future of this art form. The 13th Quilt Nihon Exhibition begins in Tokyo and travels across the United States, allowing an international audience to appreciate the artistry and technical finesse of these prizewinning Japanese quilts. 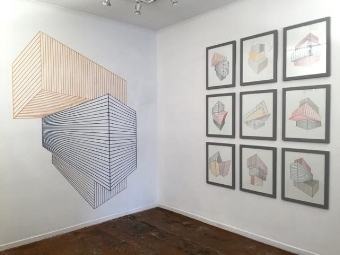 Sabine Reckewell describes her room-sized installations as “three-dimensional drawings.” Using linear materials, repetition, and geometry, Reckewell creates forms that simultaneously give contradictory impressions of flatness and volume. These installations, constructed using simple tools and techniques, strike a fine balance between mathematical precision and hand-made simplicity. Based on the dimensions and properties of a room, Reckewell maps out the geometry of the installation with evenly spaced points, and constructs it with soft and pliable linear materials like yarns, ribbons, ropes, and webbing. Repetition gives the work a meditative quality, and the choice of material gives it personality. Reckewell’s installations are rarely meant to be permanent, movable sculptures: They exist in a particular space for a certain amount of time and then are deconstructed. This will be the case for Reckewell’s site-specific installation at the San Jose Museum of Quilts & Textiles on view in the Finlayson Gallery. During its 40-year existence, the San Jose Museum of Quilts & Textiles has accumulated a permanent collection composed of over 1200 textiles, including over 450 historic and contemporary quilts. Bold Statements highlights quilts from the SJMQT collection with strong graphic and geometric sensibilities. This set of quilts speaks to the infinite variety of expression that quilters have achieved through the simplest of shapes. Many of the quilts in this exhibit are from a generous 2016 donation of over 80 quilts by Lea and Bruce Berman and have never been exhibited in the museum before now. Over 100 artists from around the world have translated their preferred fiber art medium into a 10"x 10" square. The artists' donated work will be sold for $125, with all proceeds dedicated to funding fiber art programs. Please join us for the Champagne Gala Celebration on the night of Saturday, July 22, 2017 from 6 - 9pm. Ticket purchasing information can be found here. These exhibitions and related programs are supported in part by the David and Lucile Packard Foundation; Silicon Valley Creates, in partnership with the County of Santa Clara and California Arts Council; by a gran supported by the Office of Cultural Affairs for the City of San Jose; and the Santa Clara Valley Quilt Association. Museum and Museum Store Hours are: 11:00am - 4:00pm Wednesday through Friday; 11:00am - 3:00 pm Saturday and Sunday; closed Mondays, Tuesdays, and major holidays. Admission is $8.00 general; $6.50 students and seniors 65 and up; and free to Museum members and children 12 and under. Admission is 'Pay What You Can' on the first Friday of each month, not including January and July. The San Jose Museum of Quilts & Textiles is located at 520 South First Street in SoFA district of downtown San Jose. For more information, call 408-971-0323.